Small batch + handmade soap, bath, body care. Inspired by nature's abundance and the beauty of the seasons. My soaps, bath and body products strive to find that perfect balance between organic and practical, natural and inspirational, an every day staple and a special seasonal celebration. I believe that what we put in our bodies and on our bodies is the key to health. I believe that the closer we are to nature, the closer we are to real beauty. I believe that life should be full of simple pleasures and small indulgences, every day. I believe that everything good in life is made fresh and with the best possible ingredients. I believe that it’s not truly organic if we have to transport it half way around the globe to get it. I believe the cycle of nature's seasons is abundantly rich, an opportunity to appreciate all of Earth’s wonders, and our own soul’s progress through life. 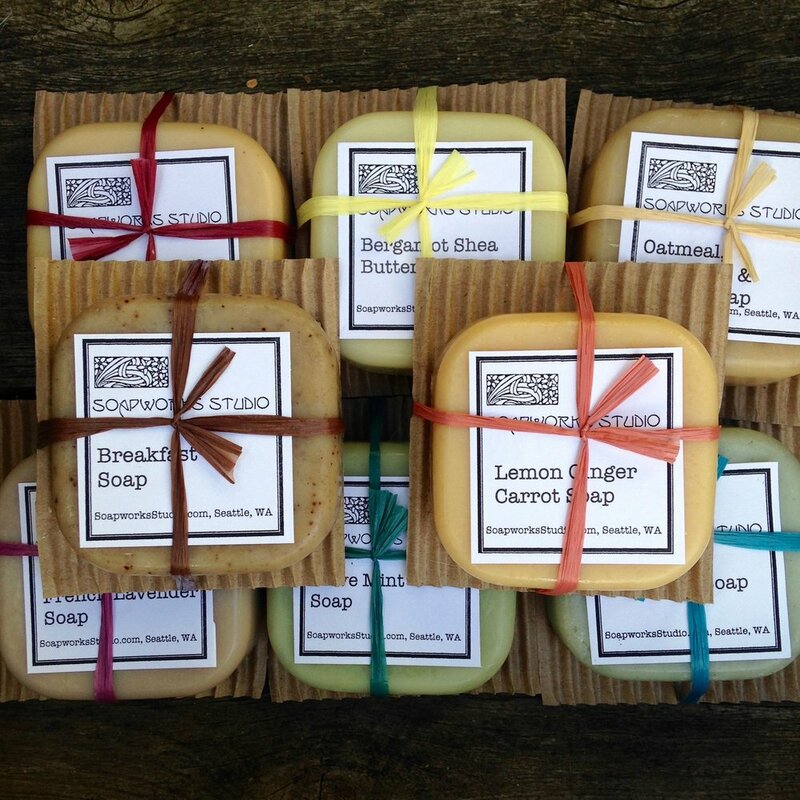 See our full selection of soap scents. There's something for every body. Our aromatic sprays are all-purpose fragrance spritzers - for freshening rooms, linens, closets, laundry, or a light body spray. See our full selection of balms, salves, bath salts, soap dishes, accessories. We’ve got the perfect little pampering gifts for your sweetie. and a happy contented spirit."